Quality Maple Syrup since 1969! 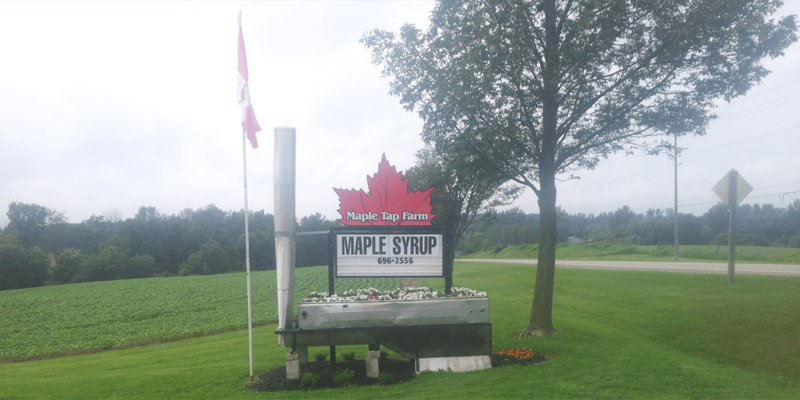 Maple Tap Farm, is located minutes from Kitchener-Waterloo just outside New Dundee, ON. 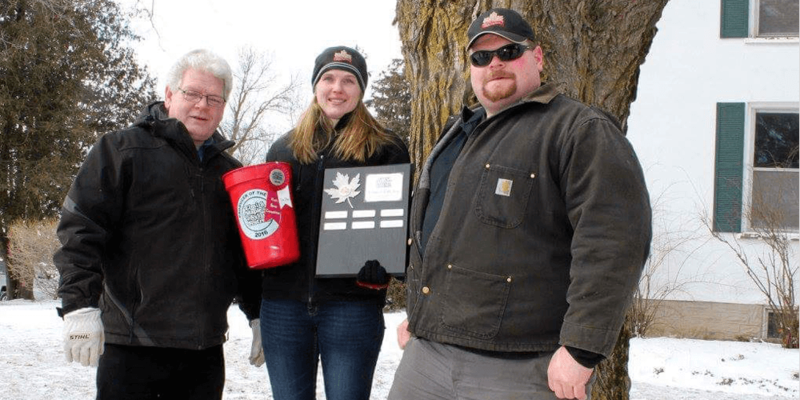 We are third generation syrup makers, making quality maple syrup since 1969. Syrup making is a real “family affair” and everyone gets involved, including aunts, uncles, cousins and friends. From humble beginnings of collecting a few dozen buckets by hand we have grown to over 3600 taps running on vacuum tubing. 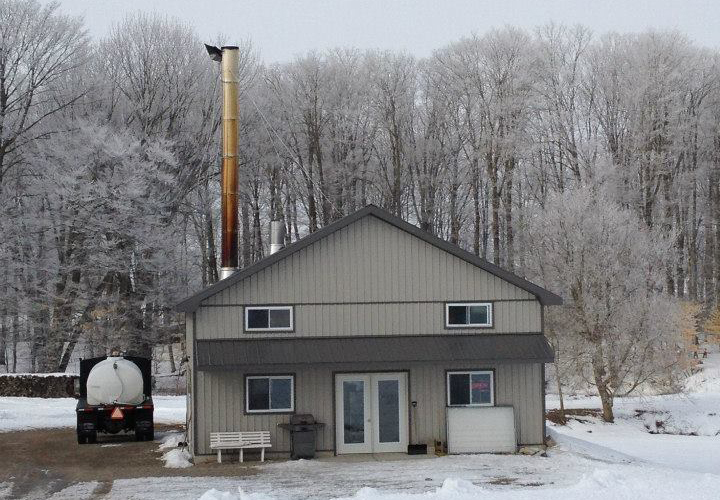 We run a modern operation using a wood fired evaporator, and reverse osmosis system to produce our high quality maple syrup. We also custom boil for other local producers. 09 Mar Annual Open House Coming Up!